If you’re heading out to a Super Bowl party, you may want to skip the dip. People who double dip at parties during flu season appear to be spreading the influenza virus. Although this year’s flu season is predicted to be a relatively mild one, a Tulane University study published in the American Journal of Health Economics found that cities who had teams in the Super Bowl typically see an 18% rise in flu transmissions and an increase in flu deaths in the high risk over age 65 populations. The study found that fans whose teams are in the game are more likely to attend a party and crowd into small bars, living rooms or other close quarters, prime settings for transmitting the virus. 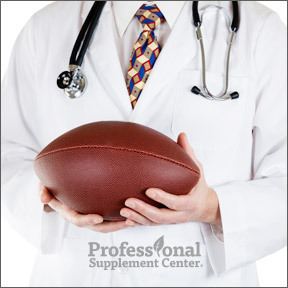 The study also found the same does not hold true for the city hosting the Super Bowl, as the game is usually played in warmer climates in an environment less favorable to flu transmission. Super Bowl Sunday is a big party day even when you’re not all that interested in the game. Food is a huge part of Super Bowl celebrations and people often bring dishes to share. Touching serving utensils that are used by everyone can also help to spread the virus, so frequent hand washing is essential. And watch how you handle those chips and dips. Double dipping is a serious no-no, but it’s not only the double dipping that spreads the flu virus, it’s the close contact at the height of flu season. Coughing, sneezing, talking, cheering in support or shouting in frustration can spread the flu virus to others up to 6 feet away. You may come home disappointed if your team doesn’t win, but you definitely don’t want to come home with the flu. To help prevent getting or spreading the flu, practice good hygiene and be mindful of others. ReBoost Cold/Flu Relief by MediNatura – This non-drowsy formula supplies natural homeopathic support for the temporary relief of multiple minor flu symptoms such as body aches, cough, fatigue and headache. Clear Cold and Flu™ by Clear Products, Inc. – This combination formula provides homeopathic and botanical ingredients in easy to swallow capsules for natural relief of symptoms associated with the common cold and flu. Gluten free. 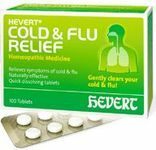 Hevert Cold & Flu Relief by Hevert Pharmaceuticals – Use at the first sign of cold and flu symptoms for the temporary relief of runny nose, sneezing, sore throat, fever and body aches. Non-drowsy homeopathic formula. Sinol–M Cold & Flu Relief by Sinol USA – This all natural homeopathic nasal spray provides fast relief from headaches, congestion, fever, sneezing and runny nose. This entry was posted in Home and tagged Clear Cold and Flu™ by Clear Products, Hevert Cold & Flu Relief by Hevert Pharmaceuticals, Inc., Professional Supplement Center, ReBoost Cold/Flu Relief by MediNatura, Sinol–M Cold & Flu Relief by Sinol USA, Super Bowl Flu, Vitamins and supplements, www.professionalsupplementcenter.com. Bookmark the permalink.